nanoDSF, the miniaturized differential scanning fluorimetry technology, is a revolutionary method to determine the thermostability of proteins by following changes in their intrinsic fluorescence. In this comparative study, the Prometheus NT.48 was used to determine the thermal stability of the membrane esterase PA2949 from Pseudomonas aeruginosa in presence of various detergents. The detergent type strongly affected enzyme thermal stability, which moreover correlated with enzyme activity. 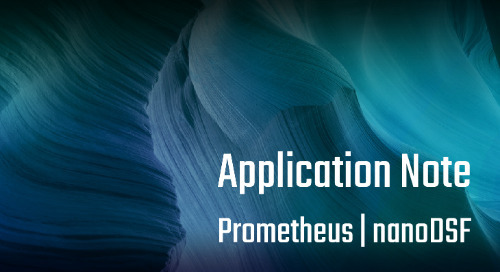 Thus, the Prometheus NT.48 can be used not only to rapidly screen for optimal purification conditions for enzymes, but also to evaluate enzyme activities based on their conformational stability in presence of detergents.